National Van Lines has been honored as the 21st largest certified woman-owned business in the United States, and 3rd largest in Illinois by DiversityBusiness.com. A recent announcement in Crain’s Chicago Business Magazine places National Van Lines as the 10th largest woman-owned business in Chicago. While National Van Lines has recently become an employee-owned company, Maureen will remain at the helm until her retirement at the end of 2019. 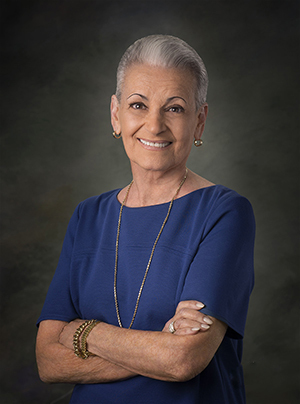 Maureen is a past member of the Board of Directors of the American Moving & Storage Association (AMSA) and still serves on the Board of Directors of the Moving & Storage Institute (MSI). As Past Chairman of The American Cancer Society Board of DuPage County, IL, she is an advocate for women’s health issues. Actively involved in community service, Maureen is the past Chairman of the Board of Aspire, an organization that works with children and adults with developmental disabilities and the Humanitarian Project which feeds needy families and the elderly. Currently, Maureen is a member of The Chicago Network, as well as a Trustee for Benedictine University of Lisle, IL. She is past Board Chairman of Marianjoy Rehabilitation Hospital and also serves as Board President of the Executives Breakfast Club of Oak Brook. Featured in Margaret Heffernan’s book on successful women, and recognized for her expertise in employee retention and sound business practices; Maureen regularly speaks at industry conventions and is frequently invited to share her approach to management as a conference speaker/panelist. Maureen has three children and seven grandchildren and lives with her husband in Broadview, Illinois.